First Degree Fitness Evolution E-720 XT Fluid Rower, the E720 Cycle XT ergo offers maximum operational versatility including recumbent cycling, seated or standing hand cranking, and wheel chair access. Medically approved and trusted by leading health practitioners, this commercial ergo is perfect for total body reconditioning and rapid recovery progression. With options to engage virtually every muscle group, an E720 Cycle XT workout targets strength, endurance, intensity, stability, flexibility and balance. The counter balance arm rotates 360 degrees to support upper and lower body training and development of reciprocal muscle group balance. 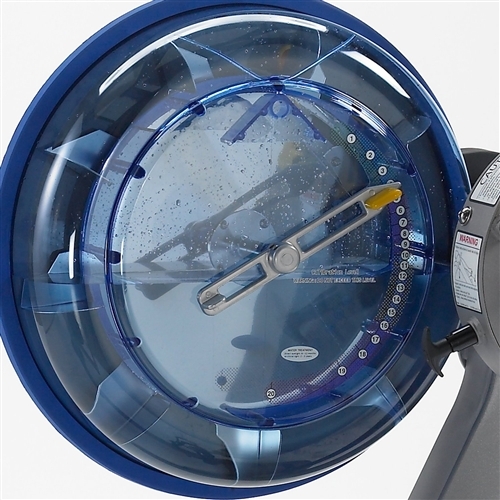 Powered by FDF’s patented fluid innovation technology, its 20 levels of water resistance offer refined and more finite increments for patient safety and skill development. 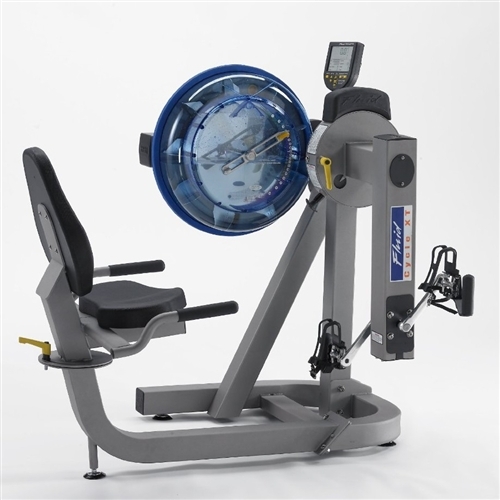 The XT-E720 is an inclusive training device, allowing both disabled and non-disabled users to benefit from a cardiovascular and resistance based workout. Tank: 20 Levels of Patented Adjustable Resistance for Finite Increment Control. Handle/ Pedal: Bi-directional Handle/Pedal Grip for Complete Muscle Engagement. Seat: Low Seat Height – 21″ Swivels for Ease of Access. Frame: Counter-balanced Main Arm Rotates Through 360 Degrees to Allow Optimum Height Adjustment and Standing and Seated Operation. Others: Dual Function Upper and Lower Body Ergometer.